Survivor guilt is a particular type of guilt that may develop in people who have survived a life-threatening situation. Individuals who believe it is unfair that they survived when others died and/or believe they did not do enough to save the lives of others may come to experience survivor guilt after trauma or a catastrophic event. A common experience among those who have survived life-threatening situations, survivor guilt has been identified in veterans, those who survived the Holocaust, 9/11 survivors, first responders, and transplant recipients. Relatives of those with a hereditary illness may also experience survivor guilt when they do not develop the illness, as might any survivor of a large-scale disaster, such as an airplane crash or earthquake. Symptoms of survivor guilt typically include nightmares, difficulty sleeping, flashbacks to the traumatic event, loss of motivation, irritability, a sense of numbness, and thoughts about the meaning of life. Individuals who experience survivor guilt may wonder why they lived when other people died, why they got lucky when others did not, whether they could or should have done anything more to prevent the death of others, and whether others suffered during the event. Although survivor guilt can have a lasting and significant impact on mental and emotional well-being if unaddressed, it may also serve an adaptive function. Those who survive may transform their feelings of guilt into a sense of increased meaning and purpose. They may also use survivor guilt as a way to cope with the feelings of helplessness and powerlessness that can occur in traumatic situations. For some, survivor guilt may also represent a connection to those who died, as feelings of guilt may keep the memories of the deceased alive, at least for a time. Survivor guilt was listed as a specific diagnosis in the Diagnostic and Statistical Manual until the publication of the fourth edition, when it was reclassified as a symptom of posttraumatic stress. Survivor guilt can develop following a small-scale event (such as a car accident in which only some people died or when a loved one dies by suicide) or larger-scale tragedies (such as the 9/11 terrorist attacks or mass shootings). Many of those who survived the Holocaust were found to have experienced significant feelings of guilt, especially those whose children were killed by the Nazis, as many believed they had failed to save their children. People who are the lone survivors of a traumatic event may have a particularly difficult time coping with feelings of guilt, since there no other individual can relate to the experience they survived. Does Everyone Experience Survivor Guilt? Not everyone who witnesses or experiences a traumatic event will develop the intense feelings of guilt associated with survivor guilt. Certain factors, such as a history of trauma, the presence of depression or another mood-related condition, low self-esteem, or lack of social support can increase a person’s likelihood of developing survivor guilt. Children, adolescents, and others with underdeveloped coping skills may be more likely to experience survivor guilt. Although feelings of guilt associated with surviving a life-threatening event can be painful and difficult to overcome, it is possible to address and cope with such feelings. It may be helpful to first acknowledge those feelings and recognize that they are both common and a natural part of the process of healing from grief. A self-care routine is also considered to be an important part of emotional healing. Self-care typically involves regular physical movement, soothing or relaxing activities, a nutritious diet, and plenty of rest. Support is also a crucial component of coping with survivor guilt. Speaking with others who shared the experience; attending a support group; or seeking help from a trusted mentor, adviser, or spiritual counselor can help an individual feel understood. 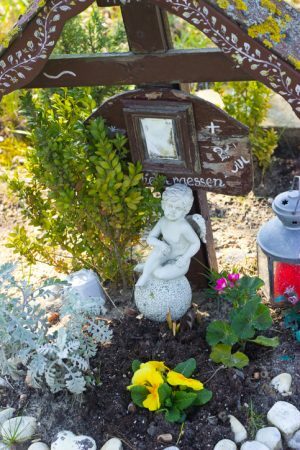 Some may also find it helpful to find a way to memorialize or honor the deceased. When survivor guilt is so severe that it impacts a person’s ability to function in daily life, the support of a therapist or counselor may be recommended. A therapist can help individuals manage and process painful emotions and challenging distorted patterns of thinking that may contribute to guilt. When I was 13 I had gotten into a car accident with my friend heather who past away from the incident and I have survivors guilt. heather was in the hospital for a while recover. Why didn’t I die too. You survived because you still have things to do on this earth. You still have a purpose to fulfill. Make that purpose a good one. Dear Summer, God had created people so they can have a happily successful life. Sometimes people don’t sometimes people do. But people also don’t live the life that god wanted to. When I was little I lost my best friend in a car accident when he was coming to my house. And I cried until I couldn’t cry anymore, even though I did not feel survivor guilt I always said to myself why did you have to take him. I always thought and then someone once told me that the reason some people die is because God wanted them to live with him. And they knew something was wrong with them. From that day forward I’d pray at night saying I hope you are having a good time. I had two friends die in a fire when I was 12. I have always felt guilty because I know if I was there like we had planned, I would have been the responsibile one to blow out the candles because that’s what I usually did. I couldn’t go like we planned because my best friend’s grandparents were in town unexpectedly and they were prejudice and were uncomfortable with me staying there that night. Then, a couple of years before that we lived in an older house and for some reason our gas was out I think we needed a new water heater and it was my responsibility to do the dishes. We had electric skillet ready to be washed from breakfast. My mother was going to the grocery store and I ran out the door we came back to a house ingulfted in flames. My father and 6 month old brother was in the house. They got out the house just fine but I have always felt it was my fault for being careless. The fire department said there was an electric fire within the wall for days and we were lucky. Then as time goes on life happens. My parent abruptly get divorced after never fighting or arguing to my knowledge, they both forgot the responsibility of having children so at 13 years old I take on responsibility of two kids plus myself and at times my depressed mother who was in a relationship marriage for 19 years now starting over now with three kids. My sister suffered mental illness and was seen as her being a problem child until it was uncontrollable. I always had buffer people to keep me from bad things that were really happening behind the scenes and I have always been at the right place at the right time. Like I could be hanging with friends all day and as soon as I was out of vision from the scene something traumatic and sometimes fatal happened. I’ve never questioned God will for me I just saw it as me being covered by a God who loves me unconditionally. Now I’m 35 and I’m in a marriage to a man that I now can see I hurt that I can’t do anything about and I have eternalized everyone’s hurt and I am paralyzed to even care any more. My sister and her husband have now has lost custody of her children from her drug abuse and negligence and I stepped in thinking I couldn’t be there for her as a child but maybe I could help as an adult and I am clearly being taken advantage of in pretty much every aspect of my like except my own 3 children who like God love me unconditionally. Even DCS is taking advantage of me and I’m now stuck with 7 children with little to no financial assistance, I work 56 hours a week to meet the bare necessities of the children I care for and my life is still not horrible but because I’m not failing like everyone, especially my husband, expected me to do and with minimal help I get the worst mother of the year award. People are not saying that flat out but are insinuating by the remarks about how my kids miss having me to themselves. How does a person get out of the cycle of being guilted into these type of situations? Hello. My name is Crystal. The reason I’m posting this comment is because I’ve been dealing with this survivor guilt all my life. You see, my dear Mom, who is sadly now deceased, almost lost me to a miscarriage when I was 8 weeks old. She had 2 miscarriages. I survived; they didn’t. I just wonder: why did I survive, and they didn’t? I’ve tried to get rid of this guilt all my life. My Mom tried to tell me, more than once, that I had no reason to feel guilty. She always missed the 2 babies that passed, but was so happy I survived. In one way, I too am glad i survived. But I can’t escape this guilt.